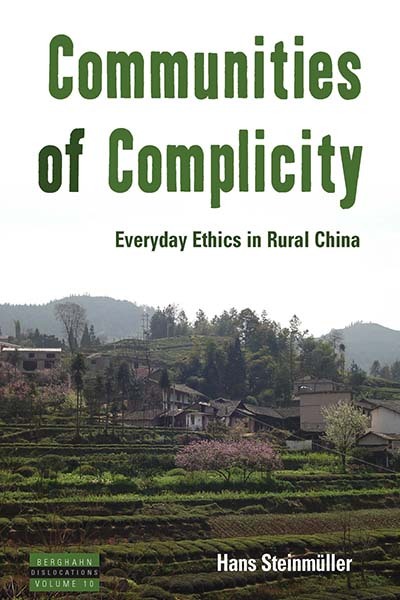 Hans Steinmüller’s Communities of Complicity: Everyday Ethics in Rural China is now available in paperback. The ethnography explores the moral uncertainties experienced by the people of the village of Zhongba in Central China as they navigate and balance the expectations of capitalism and their traditional culture. The author offers a reflection on his fieldwork in rural China and insights into Chinese culture in the following post. The main idea of ‘Communities of Complicity’ has to do with the delicate relationship between vernacular practices and official discourse in rural China. In regards to geomancy (fengshui), rituals, gifting, and corruption discourse, for instance, official representations are often inconsistent with local practice. While it is very common to invite ritual masters for family celebrations and to give money gifts at such occasions, these practices are often described in public discourse as backwards and corrupt. Hence it is not appropriate to be too forthright and blunt about such things towards outsiders. When I first arrived in the villages of Bashan in central China, and asked about fengshui, people often told me that they would not invite geomancers when building houses—yet in reality, I found out later, almost everyone did precisely this. The reason is that these practices are slightly sensitive, because they are seen as core features of peasant backwardness and feudal superstition. Peasants are keenly aware of such outside representations, in fact, one of the core realisations during my fieldwork was that the people I did research with were keen observers of their own ‘culture’. What is more, they know that some important parts of their local ‘culture’ and sociality—what people did on an everyday basis—was represented very negatively in public and official spaces (for instance, on official media and government announcements). This tension is visible in gestures of outright denial, but more commonly in embarrassment, irony, and cynicism. Such different expressions of indirection imply a shared intimate knowledge, and reproduce precisely this shared knowledge as complicity. Ordinary people in rural China are acutely aware of such challenges, and many know perfectly well how to perform the gestures of complicity. This is true both for the underprivileged and the rich and powerful—rather than a marker of marginality, the performance of complicity is a benchmark of social performance, and everyday ethics, in general. A further reflection by the author on his work can be read on the London School of Economics blog here. Hans Steinmüller is Lecturer in the Department of Anthropology and convenor of the MSc China in Comparative Perspective at the London School of Economics.